Joel W. Goldberg is an attorney at Goldberg, Goldberg & Maloney. 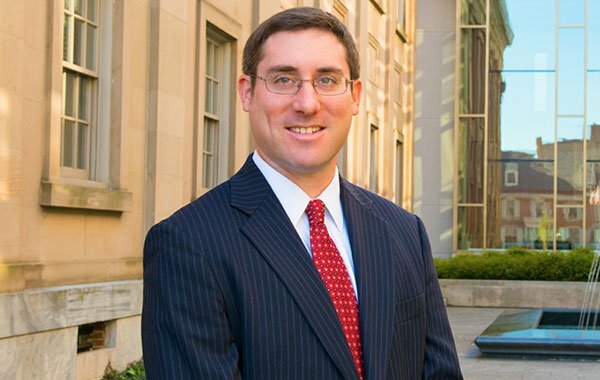 While he is experienced in a variety of areas of civil litigation, the large majority of his practice focuses on representing injured individuals, much like his father, Lawrence A. Goldberg. Throughout his practice, several of Joel’s clients have made multi-million dollar recoveries. But, he finds a great satisfaction in seeing his clients make full recoveries from liability insurance companies. In addition to his injury litigation experience, the Superior Court agreed with his legal analysis in the Pennsylvania Uniform Fraudulent Transfer Act case of Fell v. 340 Associates, et al. 125 A.3d 75 (Pa. Super. 2015). This Superior Court opinion relied upon his trial and briefs, and has become a powerful tool for creditors seeking to set aside debtors fraudulent transfers. In this particular case, this opinion allowed his client, a drunk driving victim, to recover a portion of her over seven-million dollar judgment against the defendant bar. Born and raised in the Borough of West Chester, Joel received his undergraduate degree from Lafayette College, where he played golf and was a member of Phi Gamma Delta. After working as an accounting manager in San Diego for several years, he then received his law degree from California Western School of Law, where he was the director of the Student Bar Association’s Community Outreach Committee while he worked for a public health care district focusing on legal issues in the healthcare field. Joel presently serves as the vice-chair of the Coatesville Youth Initiative, a non-profit committed to training youth leaders, enhancing family relationships, building community collaboration, and encouraging prevention education. He also serves as a board member of the Chester County Stively Inn of Court. He is a member of the Pennsylvania Association for Justice, the Chester County Bar Association, and Pennsylvania Bar Associates. Joel resides locally with his wife and two young children.